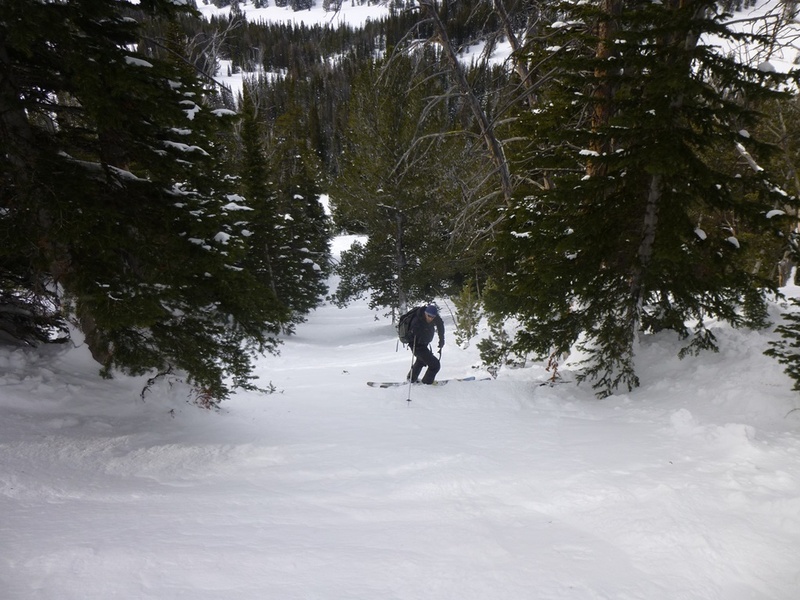 On Sunday, February 16, three skiers were ascending a west facing slope in Beehive Basin and triggered an avalanche. It released 100 vertical feet above them, buried two and injured one. 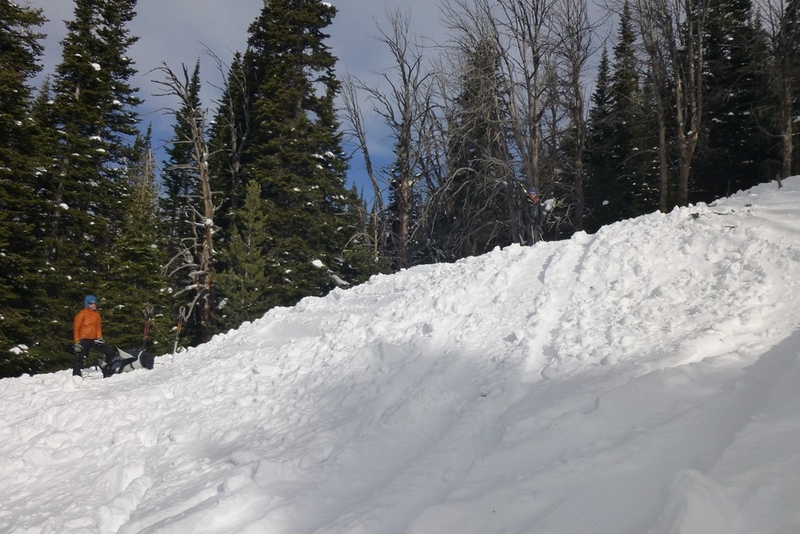 The avalanche was 50 feet wide, 18-24 inches deep and 300 feet vertical. 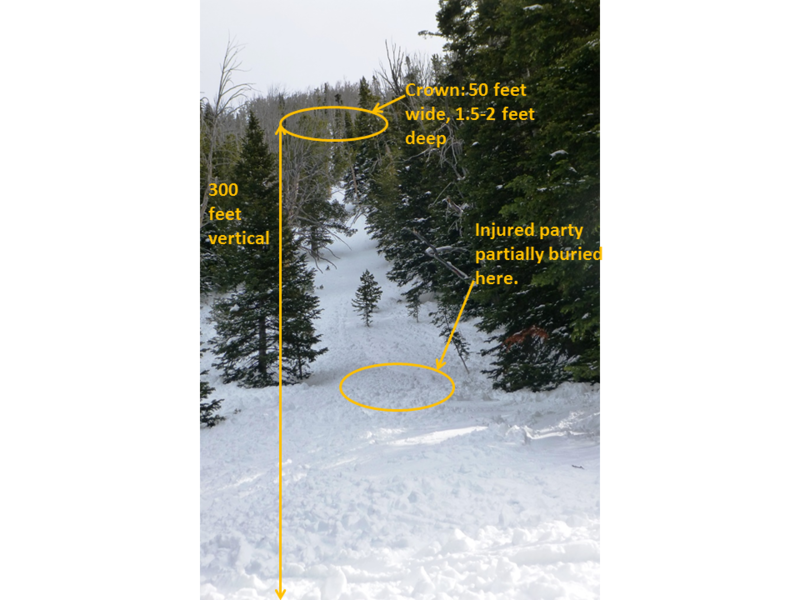 The slope angle at the trigger point was 36 degrees and 40 degrees at the crown. The debris pile was estimated to be 40 feet wide and 6-8 feet deep. The alpha angle was 30 degrees. 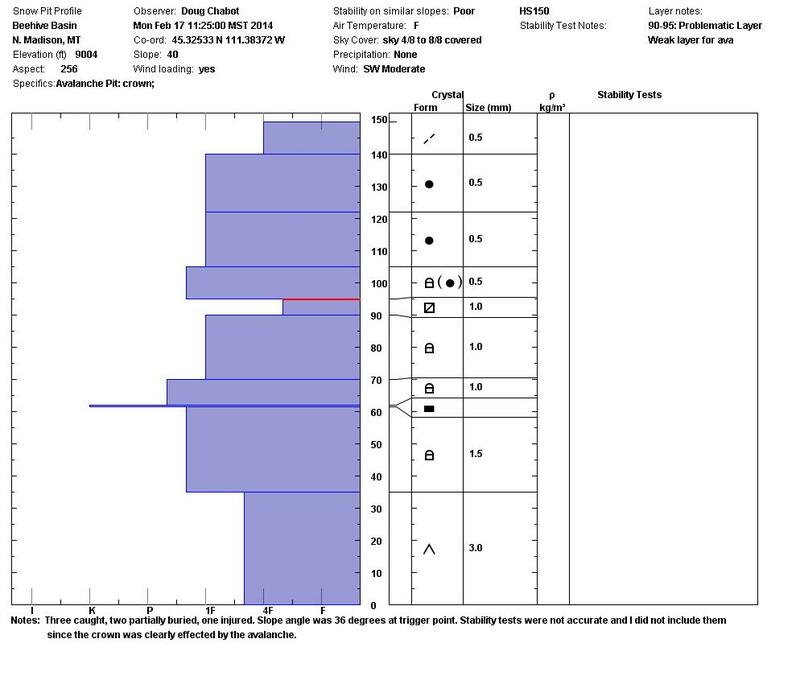 Avalanche classification is SS-AS-O-R4-D2. 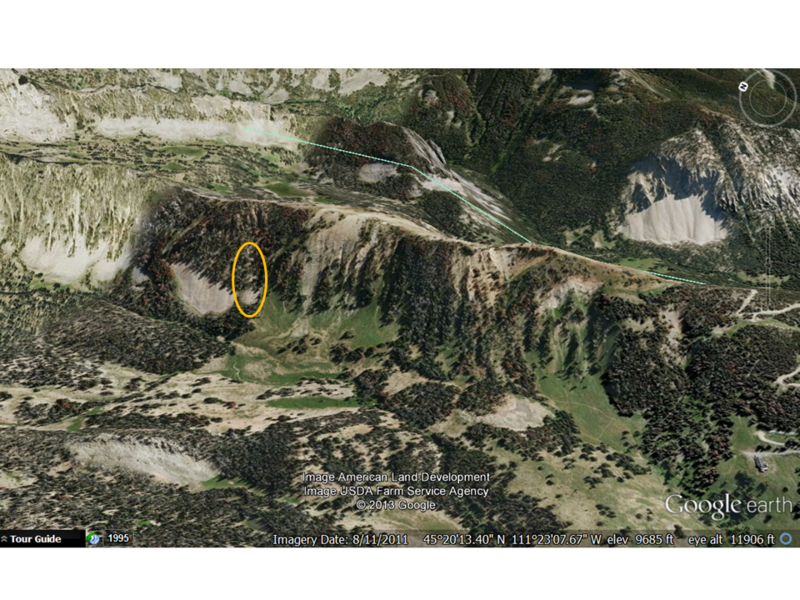 The oval shows the location of the avalanche. 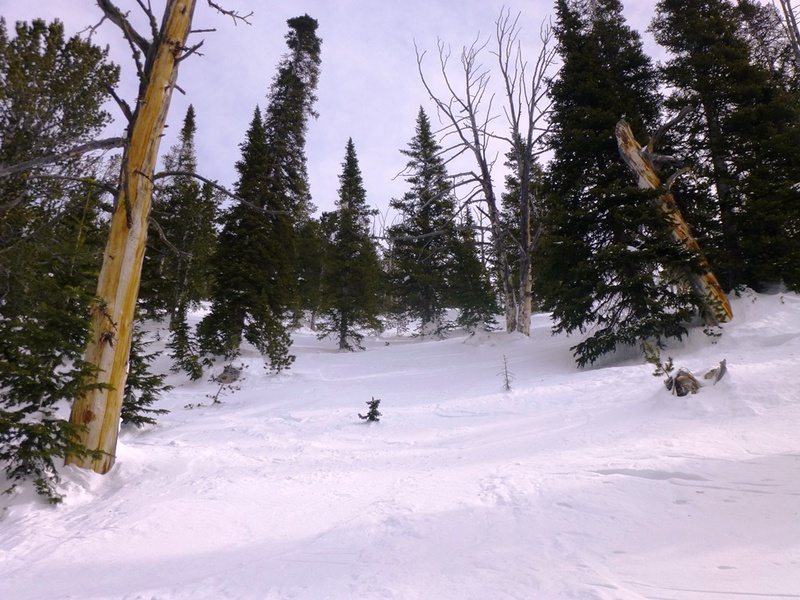 This photo is looking up the slope from the toe of the debris. 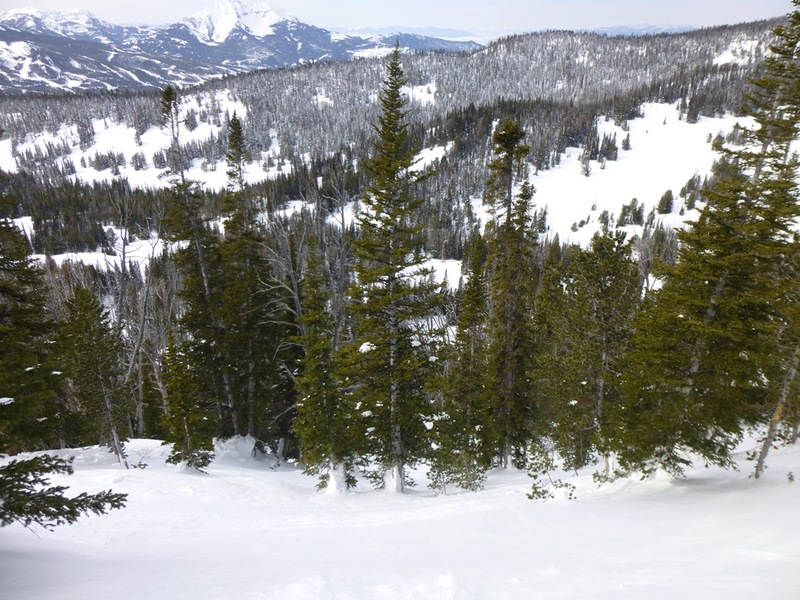 This photo was taken from the trigger point looking uphill. 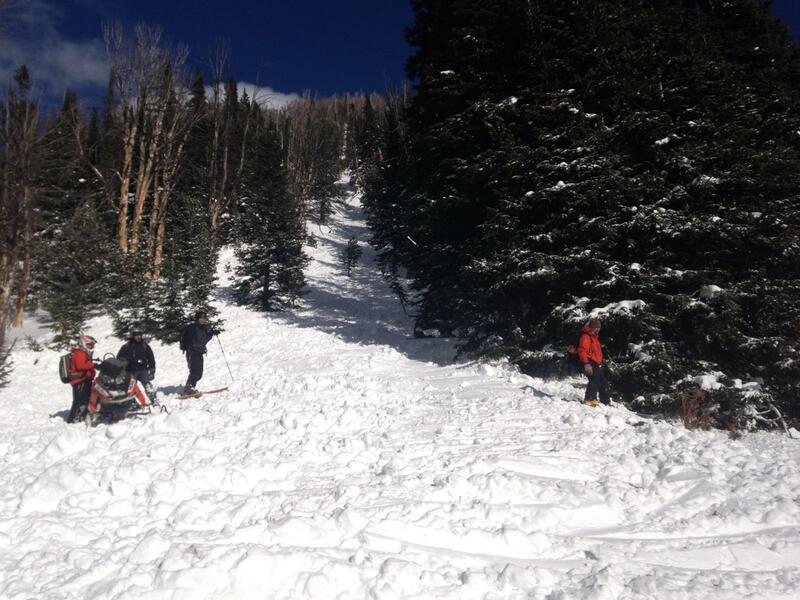 Three skiers were caught in this slide in Beehive Basin.